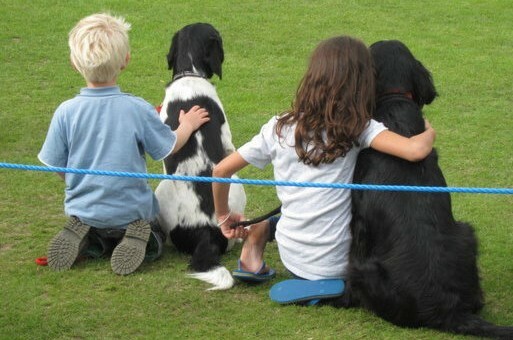 Who will be top dog at the Wisborough Green Fete? Just a few miles from Billy’s On The Road, a fantastic event takes place each year at Wisborough Green. Fetes have been held regularly on the village green since 1948, and now the annual August Bank Holiday event attracts thousands of people. The Wisborough Green Fete combines family fun and games with a Horticultural Show and a Fun Dog Show, so it’s a brilliant day that really has something for everyone. You know how proud we are of our sausages at Billy’s On The Road, so it seemed only natural that we should sponsor the Fun Sausage Race at the Dog Show. But even if you think your furry friend has no chance of winning that, there are plenty of other classes to enter: if your dog has a particularly waggy tail, is the prettiest pooch around or is a doppelganger for its owner, they’re still in with a chance! So make sure that your pooches are washed and brushed and looking their very best when you take them along to the Wisborough Green Fete and see if they can win themselves a ribbon! As mum to dogs Dave and Doris, Billy is thrilled to be supporting this event for other dog lovers in the local area, and hope she’ll see plenty of you there. This year’s Wisborough Green Fete will take place on Bank Holiday Monday 29th August, and will include traditional sideshows, a vintage vehicle show, food and drink stalls, swingboats, ferret racing and even an egg throwing contest! It’s an afternoon packed full of traditional fun and games that reminds us why we’re so lucky to live in this part of the world. Look out for prize draws and raffles too for a chance to win great prizes, or test your strength on the high striker. Little ones will love having their faces painted and seeking out the giant vegetables in the Horticultural Show tent. Wisborough Green Fete, Fun Dog Show and Horticultural Show takes place on Wisborough Green village green on Bank Holiday Monday 29th August, from 1pm.